The odds were stacked against Augustus Tolton. He was born into slavery, his father died when he was young, he lived in poverty, and was denied access to every Catholic seminary in America. But despite the hardships he experienced, Tolton went on to become the first African-American priest. He set to work in the Deep South, combatting segregation and penetrating the hardest hearts with the beauty, richness, and truth of the Catholic faith. In his newest book, Father Augustus Tolton, Deacon Harold Burke-Sivers shares the amazing story of the slave who became America’s first African-American priest. Father Tolton’s story shows that it is possible to see past race and politics. In America, the Catholic Church not only wanted to free people from slavery, but also the slavery to sin. 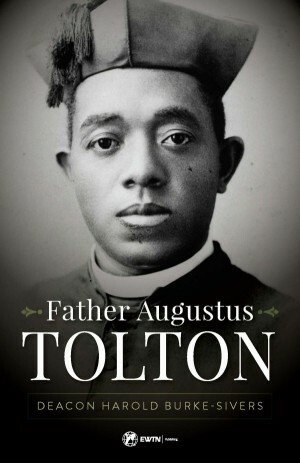 If you’re seeking to become more perfect in Christ, you’ll find a role model in Father Tolton. Here are just six amazing facts about this holy man’s life. Augustus’ mother was a wedding gift to the Eliot family. While enslaved on their plantation, she met Tolton’s father, Peter Paul. They had three children together. When Augustus was only seven years old, his father left to fight in the Civil War. He died during battle, “fighting for the belief that all men, including blacks, are equal and should have the same rights and privileges as whites,” writes Deacon Burke-Sivers. After the death of her husband, Martha Jane and her children escaped from slavery thanks to the Underground Railroad. They settled in Quincy, Illinois. Even though he was enrolled in a Catholic school, Augustus suffered daily from taunting and racial bullying from his classmates. When they found out their children were attending school beside African-Americans, many parents threatened to remove their children and stopped tithing. It wasn’t too long before Martha Jane removed her children from the school because of racial tension. When Father McGirr heard of the Tolton family’s situation, he invited them to attend St. Peter’s parish and school nearby. It was there that Augustus learned to pray, attended school, and received his first communion. “At the age of sixteen, he received his first Holy Communion, and, during Fr. McGirr’s homily, in which he explained the meaning of the Holy Eucharist and the Sacrifice of the Mass, Augustus’s heart, in his own words, ‘leapt with a strange exhilaration.’ It was on that day that young Augustus envisioned himself becoming a priest,” writes Deacon Burke-Sivers. Augustus experienced incredible rejection on his journey to the priesthood. The Franciscans would not accept him, and he received a rejection letter from every seminary in the United States, who would not accept an African-American candidate. After seven years of applications and rejections, Augustus was finally accepted to the Urbanum Collegium de Propaganda Fide in Rome, where he arrived on February 15, 1880. He was ordained to the priesthood in 1886. In front of a large crowd at St. Benedict the Moor Church, an all black parish in New York City, he celebrated his first High Mass. One of Father Tolton’s assignments was to St. Augustine’s, a parish that met in the basement of St. Mary’s Catholic Church in Chicago. His parishioners were African-Americans who had been rejected from white parishes or were new to the city after a life in the South. With the permission of Archbishop Feehan, Father Tolton made it his mission to build his parishioners a real church. Even though many members of his parish were unemployed, indolent, or isolated, he set out on an aggressive fundraising campaign. Most of the money for the parish came from his speaking engagements throughout the United States. “He even appealed to Katharine Drexel, the famed educator who would later be canonized, for funds to build St. Monica’s. He raised enough for construction to begin in 1891,” writes Deacon Burke-Sivers. Unfortunately, St. Monica’s was never completed and the parish was closed in 1945. Father Tolton passed away at the age of forty-three, and was buried at the priest’s cemetery in St. Peter’s, where he first heard Jesus calling him to the priesthood. To find out more about the amazing life of Father Augustus Tolton, pick up a copy of Deacon Harold Burke-Sivers book at your local Catholic bookstore or online through Sophia Institute Press!